The Trump administration's aggression toward Venezuela is grotesque, self-serving, and imperialistic. 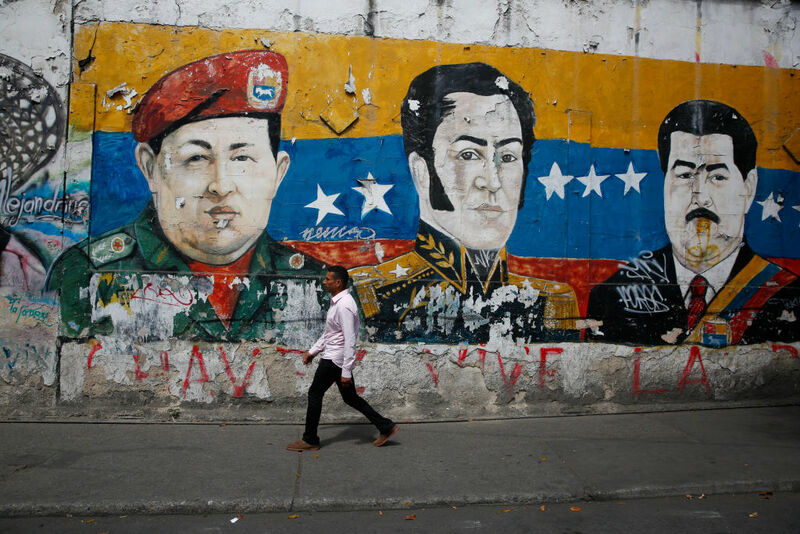 The US should stay out of Venezuela. The inconsistency of US foreign policy regarding human rights is a scandal. That it has always been so, or that such behavior is inevitable for a powerful nation, does not detract from its fundamental immorality. Dwelling on the shortcomings of targets of phony US human rights campaigns provides no benefit to the victims of those regimes. All it does is enlarge the political space for future, disastrous US military intervention. It also glosses over the history of US assaults on the sovereignty of the targeted nation. The resort to “soft power” should be viewed as a compromise of the US government with political exigencies. Given a determination to destroy an unfriendly regime, there are no other effective constraints. Soft power itself should be regarded as a political campaign to pave the way for more aggressive tactics, up to and including military intervention. Actual intervention has usually been justified with outrageous fabrications: Noriega’s cocaine that was actually tortilla powder, the fable of Iraqi soldiers overturning baby incubators in a Kuwaiti hospital (exposed by one A. Cockburn), Saddam Hussein’s non-existent WMDs, and of course the legendary Gulf of Tonkin story. The apparent fact that presently the United States government lacks the political and military wherewithal to mount a serious invasion means that instead there will be a continuation and escalation of measures that deepen the misery of the people of Venezuela. These sanctions, by worsening conditions on the ground, provide fuel for denunciations of the regime and aggression against it. That is their purpose. Trump’s anti-interventionist proclivities are substantially offset by his employment of depraved neocons, his innate tendency to macho bluster, his ignorance of the limitations of US power, his infantile designs on the country’s oil resources, and the need for a new distraction from his own political and legal jeopardy. A drawdown of all US offensive policies re: Venezuela should be a litmus test for the support of any candidate seeking the presidential nomination of the Democratic Party. US imperialism is still a thing.